Born in Russia. Lived in China. Dreaming about Brasil. 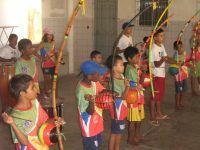 SÃO LUIS, Brazil, Dec 17 (IPS) – They call it an orchestra, but this atypical all-percussion group is far from featuring the range of musicians found in a conventional ensemble. Which does not mean that the music they make is not rich and varied, as the young amateur musicians produce an amazing array of sounds. The elderly who exercised or gathered at the Temple of Heaven were captivated by two foreign men who one day appeared and performed some kind of street dance. The old people were curious about the movements. Later, they were taught to play strange musical instruments to accompany the dance. 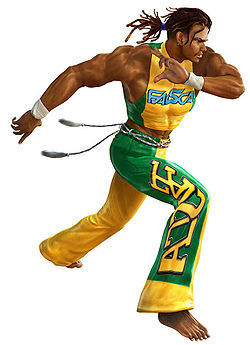 Interview with Mestre Marcelo: Meet the real Eddy Gordo! This interview is from GamePro Online Magazine. It was deleted and found on web-archive, so I just post it here. Editor’s Exclusive: Meet the real Eddy Gordo! Scary Larry interviews capoeria artist Marcel Pereira—the man who gave Tekken 3’s Eddy Gordo his moves. Marcelo Pereira was born in Sao Paulo, Brazil. He has been involved with theater since 1970. He started playing (dancing, entertaining, fighting) capoeira as a child on the streets, and was later referred to one of the most famous capoeira masters, Mestre Suassuna. 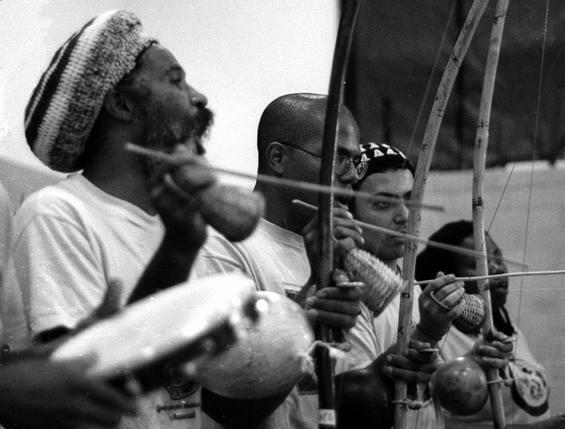 He opened his own school, Associacao de Capoeira Senzala Grande in 1979, and in 1984, came to the U.S. to perform and teach. He then founded The Capoeira Institute Inc., and Brazil Dance Revue, but his school’s traditional name as of today is Capoeira Mandinga. Quit drinking, alcohol is bad for your metabolism. Do not show off your progresses to your friends outside the roda. Hold them back and surprise people with them in a fight. Avoid conversation while training. Be quiet while in the academy and, by observing the other fighters, learn more. Practice the fundamental exercises daily. Do not be afraid to get close to your opponent. The closer your keep, the more you will learn. 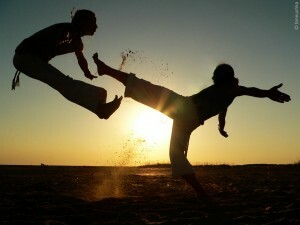 It is better to get beat up in the roda than on the streets. 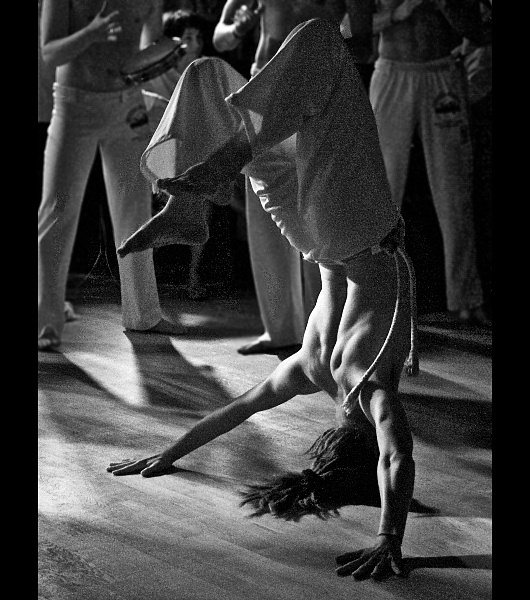 A compendium of the most widely sung Capoeira songs with their English translations. 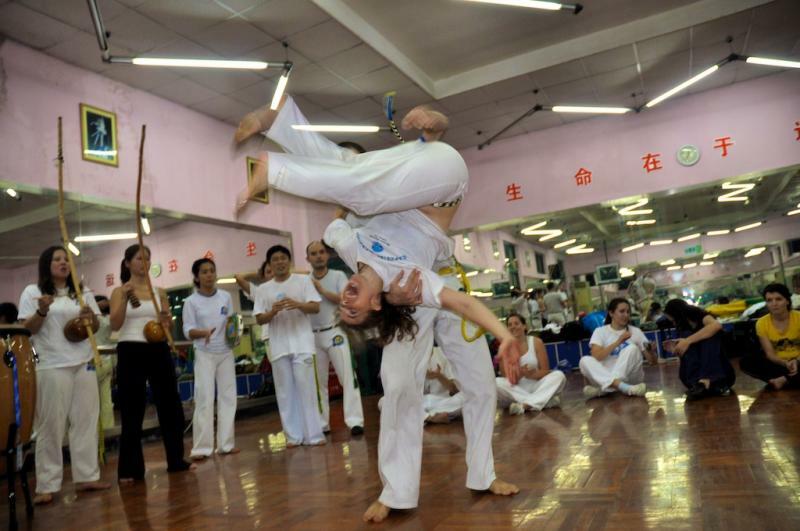 Plus a guide on Brazilian Portuguese pronunciation, a capoeira glossary, an article about religion and its connection to Capoeira and other articles about Capaoeira songs. Popular Capoeira’s songs lyrics, 60 pages without translation. 8 documents with popular songs lyrics.